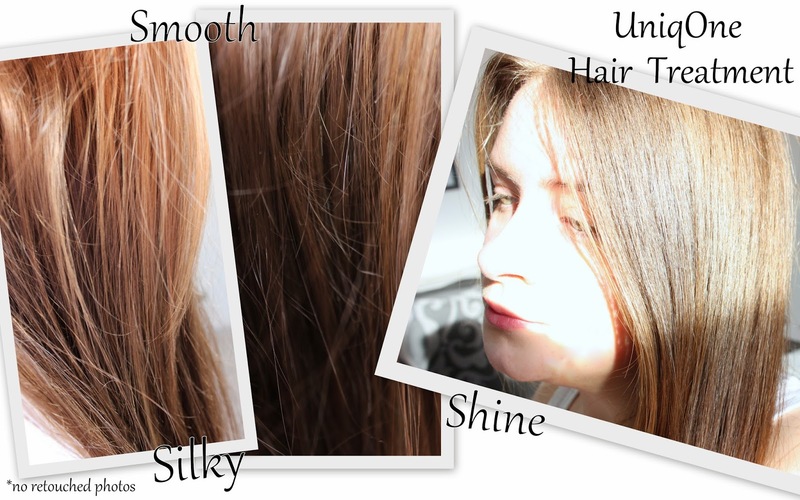 Uniq One is a line by Revlon professional and it is the first time I have ever used one of their hair treatments and I was pleasantly surprised by the result. I haven't been too adventurous when it comes to hair treatments in the past as I found one many years back that worked great for me and been using it ever since, but I thought that it was time to switch it up and try something new. This Uniq One has it all whether you have natural/non-coloured hair (like me) or have dyed hair. It has 10 unique benefits including heat protection, split end prevention, shine & frizz control as well as UV filters to protect your hair from sun/light damage. The product has a strong smell of coconut which reminds me of holiday (Bonus!!!) as most sun protection lotions I've used had a coconut scent. I really like this treatment, it gives my hair a silky and smooth finish as well as extra shine.I don't have anything bad to say about the formula, although what I would like to say is the bottle pump/spray isn't the best to press, it's quite hard to push down to get a spritz (but that could just be my bottle though) Once you spritz, a good amount is dispensed onto your hair. I typically like adding my hair treatments onto wet hair however this one can be used on dry hair too. I generally spritz this product around 8-9 times as I've got long, thick hair which requires more product to achieve good results. I've used this about 3 times since I received it the other week and I can definitely say that it's going to be a staple in my hair care routine and may well take over my TRESemme hair product that I love so dearly. This hair treatment by Uniq One retails for around £13.99 and it's worth giving it a try if you want super silky, smooth and shiny hair... Hope you love it as much as I do! Thanks to Revlon professional for sponsoring this post. With the summer months obtaining hotter (apparently) having less hair on your body can keep you cooler, for more information click here male waxing.